Background: More than a century ago, Paul Ehrlich proposed the idea of a drug working as a “magic bullet” that selectively eliminates diseased cells without harming the surrounding normal cells. Since then, much progress has been made in this field to broaden the scope for targeted delivery of drugs. A major problem remain the toxic effects of targeted drugs on healthy cells. In order to reduce the adverse effects of chemotherapy on healthy tissues, we survey the use of recent drug delivery systems for targeted therapy. Objective: The selective delivery of the drugs to specific diseased cells or tissues still is a daunting task. Ideally, for target drug delivery systems, the system should be made up of carriers and drugs, where carriers precisely target the desired drug. This issue covers the recent advancements in modern techniques for such purposes. Result and Conclusion: It encompasses advances, benefits and limitations in state of art work of targeted drug delivery through hydrogels, microfluidics, nanoparticles, carbon nanotubes, polymeric micelles, liposomes, lipoprotein based drug carriers and dendrites. 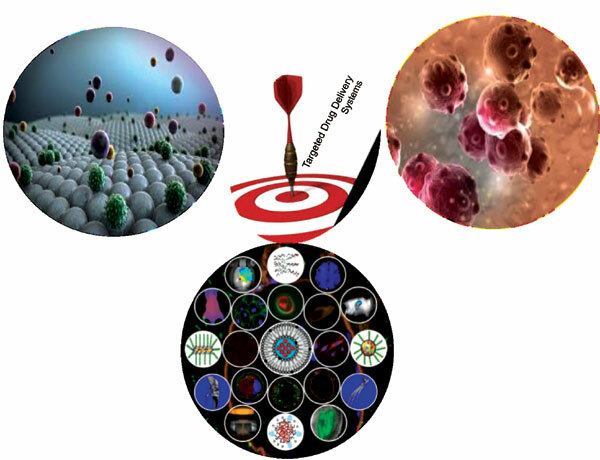 Keywords: Cancer therapy, drug carriers, hydrogels, nanoparticles, polyoxometalate, targeted drug delivery. Keywords:Cancer therapy, drug carriers, hydrogels, nanoparticles, polyoxometalate, targeted drug delivery. Abstract:Background: More than a century ago, Paul Ehrlich proposed the idea of a drug working as a “magic bullet” that selectively eliminates diseased cells without harming the surrounding normal cells. Since then, much progress has been made in this field to broaden the scope for targeted delivery of drugs. A major problem remain the toxic effects of targeted drugs on healthy cells. In order to reduce the adverse effects of chemotherapy on healthy tissues, we survey the use of recent drug delivery systems for targeted therapy.